KS2 CPD: supporting and developing teachers to increase their outdoor learning and teaching. Percy Main Primary School in North Shields have a strong track record in outdoor learning. Learning Outside the Classroom features prominently in their school’s vision and practice and they are one of only a handful of schools in the country to hold the Council for Learning Outside the Classroom’s Gold Award. However, as with many schools, while EYFS and KS1 can regularly be found having lessons out in the school grounds, KS2 thought they could be doing more. They wanted to see how they could build confidence amongst the staff while considering how they could use their school grounds more creatively to deliver and support different areas of the formal curriculum. In consultation with the Head of KS2, Anita developed a two-day training programme which would run alongside the normal life of the school. Half a day would be spent focussing on a particular year group. This started with an hour long lesson, led by Anita, designed to support whatever topic that class were doing that week. The next hour was spent with the class teacher, reviewing the lesson itself as well as looking at curriculum plans to identify further opportunities for teaching and learning within the school grounds. Half a day was spent with each of the four KS2 year groups, with a whole Key Stage twilight meeting at the end of the second day. · An art and design lesson creating small world ‘Wonderlands’ to support a “Down the rabbit hole” topic. · Address any practical and logistical concerns around planning and managing outdoor activities. · Establish processes and mechanisms to develop and support outdoor learning. 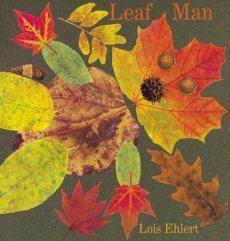 Books can provide excellent starting points for outdoor learning.